Because of production delays, the Man of Steel sequel, tentatively titled Batman Vs. Superman, was pushed from July 2015 to May 6, 2016. This caused some controversy, because Warner Bros. and DC Comics were knowingly setting their enormous blockbuster right on top of an Untitled Marvel movie that had already claimed that specific release date. It appeared to be a game of chicken between the two rival comic book studios, with DC having the potentially bigger movie. As of now, we still don't know what Marvel is planning to release on this date. But one thing is clear, they are determined not to back down. Marvel's own Kevin Feige confirmed they were going to stand firm, and that the title would be announced shortly. "We're certainly keeping the date there and we'll announce what that movie is, I assume, in the next few months."" At the time Warner Bros. announced Batman Vs. Superman's new release date, many speculated that the untitled Marvel movie was actually Thor 3. The studio has it set up that the first of two films they release every year is a sequel to an established property. The second release date is then used to launch a new property. But now the directors of Captain America: The Winter Soldier have confirmed that Captain America 3, which was supposed to arrive in 2018, is actually going to start shooting next year, in 2015. So maybe it will land on the May 6, 2016 date. If word of mouth for Captain America: The Winter Soldier holds firm heading into its opening box office weekend, it will surely bring in more fans, and it could stand as great competition for Man of Steel 2. Though, Batman and Superman together on the big screen for the first time still has the upper hand. No matter what, it will be a gargantuan weekend in terms of the millions of dollars that will be made. Late Summer/Fall 2017 - ? There is even speculation that Guardians of the Galaxy 2 could come as soon as May 6, though that seems unlikely. Its also not known if a sequel will move forward if the movie bombs, something Marvel has yet to deal with. 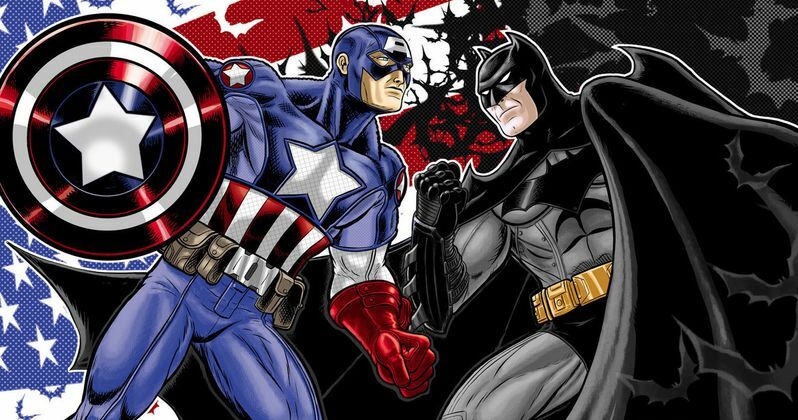 More than anything, it seems likely that if Marvel refuses to budge that Warner Bros. and DC Comics will chicken out and move Batman Vs. Superman into a later summer date. Perhaps mid-to-late July.